This title will be auto-delivered to your Kindle on June 14, 2019. Digital age change is paradoxical in two ways. First, the more technologically-enabled workplaces become, the more important the “human” becomes – community, purpose, connection, empathy, relationships, and trust. Second, while the pace and importance of digital transformation are breathtaking, there are opportunities for change leaders to be much more effective through use of digital tools. While changes to the future of work threaten some jobs, leaders can seize this chance to create workplaces that are, paradoxically, more "human." 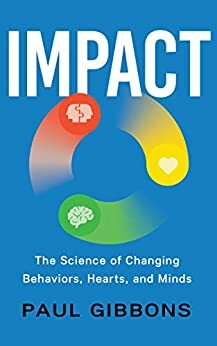 IMPACT – Using Science to Change Behaviors Hearts and Minds starts with the two most important strategic challenges of our age: digital transformation and future of work. 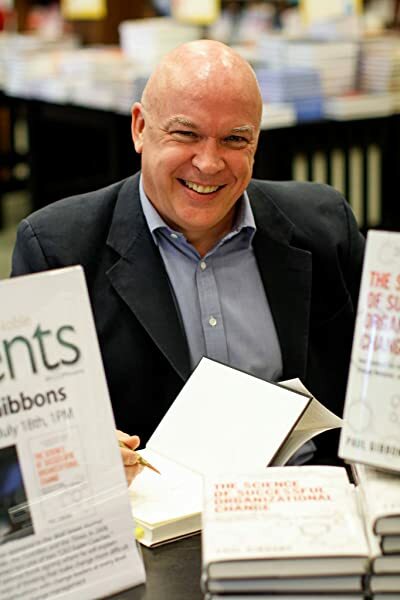 Gibbons, author of the change bestseller The Science of Organizational Change, then illustrates the inauthenticity of using analog methods to drive digital change and the irony of using 20th-century change management practices with millennial workforces. Then IMPACT walks through the most hallowed change models, pointed out their flaws, and suggests updates, based upon principles such as: human-centered, technology-enabled, systemic, creativity, scalability, and a holistic understanding of what inspires today’s generation of workers. "Shared purpose is more important than traditional incentives; empathy, trust, and psychological safety beat old school methods of behavior change; behavioral science sometimes produces major results through small tweaks to the environment; constant engagement works better than town halls, workshops, and focus groups; and technology-enabled dialog with stakeholders works better than surveys do." Gibbons brings a fresh, challenging voice to the world of change, strategy, and leadership. In 2017, he was voted top twenty in the world in culture change, and nominated for the UK’s prestigious FRSA – Fellow of the Royal Society of Arts. His popular podcast Think Bigger Think Better was voted a top twenty philosophy podcast (out of thousands globally.) He has been a business school professor, entrepreneur, CEO, consultant, and investment banker and has degrees in neuroscience, philosophy, and psychology. He is European but lives in Colorado with his two sons. Word Wise: Enabled Matchbook Price: $2.99 What's this?